As I write this post, the Memorial Day holiday weekend in the U.S. is about to begin. I had some difficulty deciding what to write about this week. Should I do something about fundraising nuts and bolts, or should I do something else? The more I pondered, the more I began to see a connection between philanthropy and the spirit of Memorial Day. So, practical how-to fundraising advice will have to wait until next week as I share my thoughts about philanthropy and Memorial Day with you this week. Philanthropy means “love of humanity.” The term is believed to have been first used in the ancient Greek play Prometheus Bound, perhaps as long as 2,500 years ago. In the play, Prometheus, a Titan, gives two gifts to the primitive creatures that were not yet quite human. He gives them fire, which was symbolic of all knowledge, and optimism. The idea was that with knowledge, humans would have hope; and, with optimism, humans would be able to effectively deploy their knowledge. These gifts were what made the creatures human. For many, the Memorial Day weekend represents the unofficial start of summer. It’s a day off from work that often involves picnics, parades, fireworks, and good times with family and friends. I love the fun aspects of this holiday as much as the next person. But, I’m also reminded of the original purpose of the holiday. Memorial Day is a time for us to remember the more than one million men and women who gave their lives in service to the nation. The men and women of our armed forces voluntarily served, even if drafted. After all, they chose to step-up and fulfill their duty by answering the call. They served for what they believed to be the public good. While we all have sacrificed something, some have sacrificed all. Memorial Day belongs to those who loved humanity so much that they were willing to give their lives. They gave their lives in the hope that we would be able to use our knowledge to build a better world as a result. Through our philanthropy, we will make sure that their philanthropy was not in vain. This Memorial Day, please take some time to remember those who have given their lives in service to our nation. Please also remember the enormous sacrifice of the families of the fallen. At 3:00 PM, local time on Monday, May 30, the nation will observe a moment of silence. I hope you will participate. And, during that moment, I encourage you to consider your own spirit of philanthropy. Are you doing everything you can to honor the fallen by making the world better? I hope some of you will leave comments with your thoughts about Memorial Day. And, I hope some of you will honor the memory of a loved one you have lost in service to the nation by sharing their story. Stop Following the Golden Rule! That’s right. I want you to stop following the Golden Rule. I know your parents probably told you it was the right way to behave, the nice way to behave, but it’s not. “Do unto others as you would have them do unto you.” I’ll admit it does have a nice ring to it. But, think about it. It’s ego-centric not donor-centered; it assumes that the way I wish to be treated is the one way everyone should want to be treated. Behave this way in fundraising, and you will alienate prospects and raise far less money than would otherwise be possible. The Golden Rule is not a panacea. Think about it: ‘Do unto others as you would have them do unto you.’ The Golden Rule implies the basic assumption that other people would like to be treated the way that you would like to be treated. That is patently false. In fact, it could be argued that the Golden Rule is a self-centered rule—and not unlike a traditional salesman who assumes his product is right for his prospect and approaches the sale without considering the prospect’s needs. In sales—and relationships—one size (yours) does not fit all. With the Golden Rule, you run a greater risk of creating conflict than chemistry. After all, people have different needs, wants, and ways of doing things. The alternative to the Golden Rule is much more productive. I call it the Platinum Rule: ‘Treat others the way they want to be treated.’ Ah-hah! Quite a difference. The Platinum Rule accommodates the feelings of others. The focus of relationships shifts from ‘this is what I want, so I’ll give everyone the same thing’ to ‘let me first understand what they want and then I’ll give it to them.’ Building rapport with people based on the Platinum Rule requires some thought and effort, but it is the most insightful, rewarding, and productive way to interact with people. I was recently in Las Vegas. I was there to see Keys to Tall Buildings, a play written by Lloyd Noonan (http://twitter.com/lloydnoonan), a former development professional turned playwright. In my friend’s darkly comic play, the hero (or anti-hero, depending on your point of view) kills “bad” people. The initial twist is that the “bad” people have committed only minor offenses such as failing to properly sort recyclables and trash at the Whole Foods Market. The second twist comes when we learn that those responsible for minor offenses are also guilty of terrible crimes. Oddly, this got me thinking about the impact of stewardship on the philanthropic process. Allow me to explain. Most donors to nonprofit organizations make modest donations, at least initially. Even people of great means make modest contributions. For example, I did an analysis for one large charity and found that over one-third of their donors of $5,000 or more made an initial gift of $100 or less. In other words, as many modest donors gained confidence in the organization, they increased their giving. One way this organization earned the confidence of donors, and their increased support, was with effective stewardship. Consciously or subconsciously, donors often test nonprofit organizations. They seldom start the relationship by making the largest possible gift. Instead, donors want to see if the organization uses their money responsibly. They want to see the impact of their giving. They want to know that the organization appreciates their support. 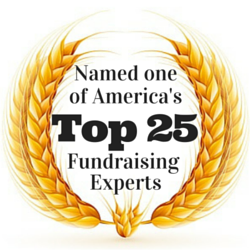 Good stewardship will help donors answer the questions they have about the charity. Effective stewardship will also set the stage for the next ask. The better the stewardship, the better the outcome of that ask. 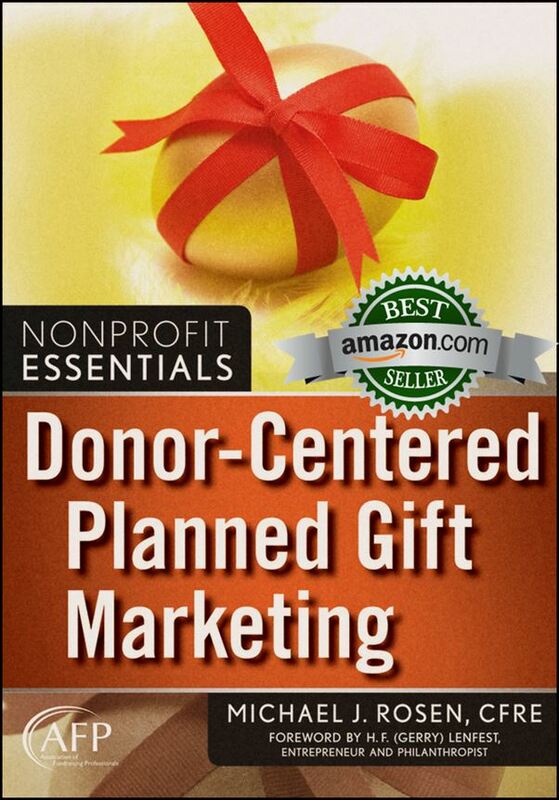 Not long ago, I was asked to cite my three “best” tips for any planned giving program. It wasn’t easy for me to limit myself to just three. But, I had to be brief. I was being interviewed by Jan Uekermann, a fundraising professional from Germany, during the Association of Fundraising Professionals International Conference in March. 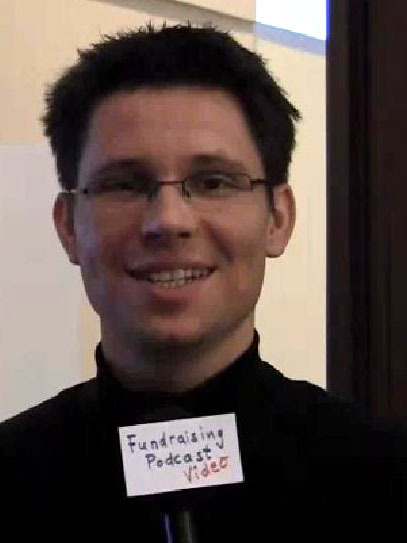 Uekermann was putting together a Fundraising Podcast series from the Conference which he has now posted on YouTube. Donors are not dependent on us. We are dependent on our donors. If a donor is unhappy with us, she can seek out another organization to fulfill her philanthropic aspirations. If we want a prospective donor to give his money to our organization, we better make certain to focus on his needs and wants. Our job as development professionals is to build relationships so we can appropriately match a prospective donor’s philanthropic interests with an organizational need. “An elderly woman in Philadelphia contributed a $25,000 charitable gift annuity to a well-known hospital in New York City. In addition to sending an acknowledgment letter, the development officer contacted the donor by telephone to thank her for her generous gift and to arrange a meeting when he was due to be in Philadelphia. So far in this story, the development officer has behaved in a donor-centered way. He has personally thanked the donor, learned a bit about why she made the gift, and has arranged to meet with the donor to learn more about her and her philanthropic interests. To recognize her generous support, the development officer invited the donor to lunch which she accepted. When they got together, the development officer picked up the donor at her home and drove her to the Four Seasons Hotel for lunch in the very lavish Fountain Room. The donor was appalled. She refused to be seated and told the development officer that lunch in the more casual, and less expensive, Swan Lounge would be more appropriate.